For sheer physical size, this “Lady” recalls the heyday of Franco Zeffirelli at the Met. Michael Yeargan’s sets and Catherine Zuber’s costumes provide opulence on a scale of the Italian director’s oft-revived Met productions of “Turandot” and “La Boheme.” Unlike Zeffirelli, Sher and his creative team also know when to pull back on the grandeur. In “Lady,” they stage the scene at the Ascot Racecourse with stunning minimalism, with the chorus’ stark silhouettes introducing the number “Ascot Gavotte” in a clever variation on Cecil Beaton’s black-and-white motif for the original 1956 production. This visual splendor would amount to nothing more than a momentary “Wow!” if Sher hadn’t imbued the Alan Jay Lerner and Frederick Loewe classic with performances that vividly conjure up George Bernard Shaw’s original characters. 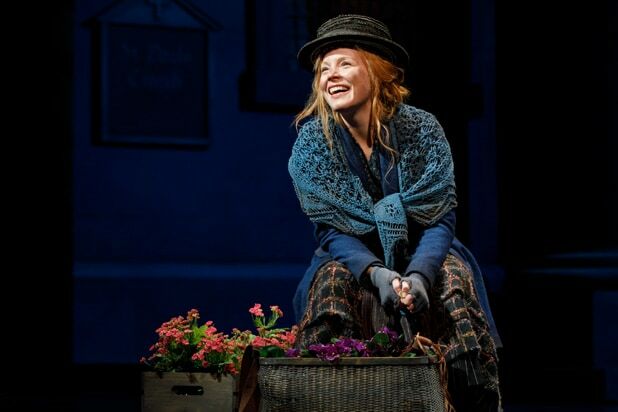 Yes, the playwright never wanted his “Pygmalion” turned into a musical or a romance, but Sher’s take on “My Fair Lady” brings the show closer to what the playwright had in mind. As the Cockney girl Eliza Doolittle and her unlikely mentor in all-things-cultured Henry Higgins, Lauren Ambrose and Harry Hadden-Paton embody people who are far too independent ever to make a successful love match; maybe they’ll be good buddies someday but never committed lovers. So while “I Could Have Danced All Night” and “I’ve Grown Accustomed to Her Face” are love songs, here they are also very much about Eliza’s giddy infatuation, in the first case, and Henry’s profound regret, in the second. Hadden-Paton seems to be missing some of the Shavian humor in the opening scenes. 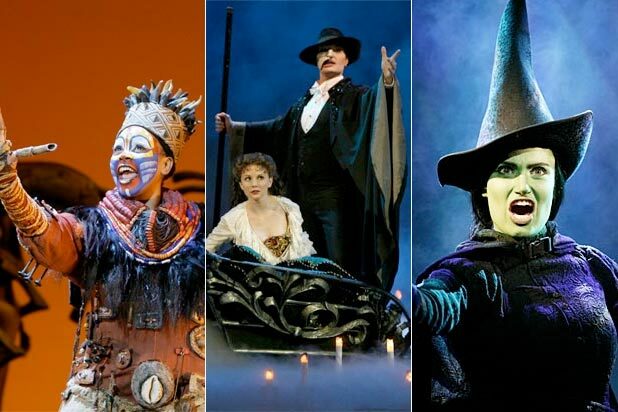 Higgins’ wicked put-downs of Eliza have been making audiences laugh for decades precisely because they are so caustic. Somehow, only the character’s nastiness was coming through. Then I realized that in this #MeToo era people don’t dare laugh at Eliza being called a squashed cabbage leaf; in fact, many theatergoers in the Beaumont felt the need to show their disapproval with audible moans and gasps. Fortunately, Hadden-Paton didn’t bend to the audience pressure, and soldiered on to make Higgins the defiant character Shaw envisioned. Even better, the actor stages an emotional meltdown with “I’ve Grown Accustomed to Your Face” that is arguably the most heartbreaking moment in the show. Years ago, Sher tried to bring Ambrose to Broadway in a “Funny Girl” revival, which collapsed even before it opened in Los Angeles. His persistence and faith in the actress has paid off. Ambrose is a magnificent Eliza. She’s very much the guttersnipe described by Higgins, and yet, when she transforms into the strong woman he believes her to be, there remains something of the English wren. Ambrose delivers a remarkably vulnerable performance. Vocally, she nails every note, including the final ones that are the pink frosting on “I Could Have Danced All Night” and “Show Me.” Shaw himself would be in awe. Norbert Leo Butz and Diana Rigg are luxury casting in the supporting roles of Alfred Doolittle and Mrs. Higgins. Rigg’s retorts effortlessly flatten whomever she’s addressing. Butz gives his “Dirty Rotten Scoundrels” slob a Cockney makeover that delights. In the 1964 movie version, Mr. Doolittle’s relentlessly diatonic “Get Me to the Church” goes on forever. It’s the kind of musical moment that the fast-forward on your TV remote is designed for. Here, Butz delivers so many hilarious variations on getting wasted that the song is reborn with every verse. It also helps that Sher and choreographer Christopher Gattelli turn “Church” into a bacchanal worth joining.